The overall MCSE for Data Management and Analytics can be accomplished in many ways. 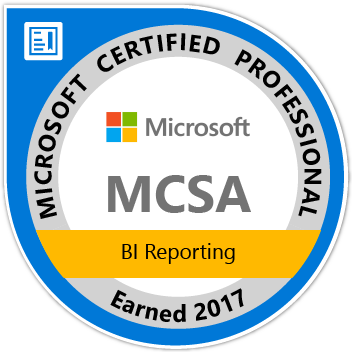 I’m already an MCSA thanks to the BI Reporting (Power BI Related exams), but I also need to take at least another one in order to qualify to be an MCSE. So this takes me to my new journey: Passing both the 70-767 and the 70-768. I’ve decided to first tackle the 70-767 on Implementing a Data Warehouse using SQL. 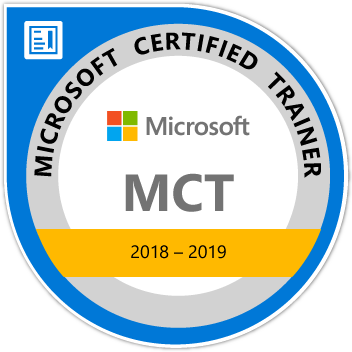 Can a Excel / Power BI folk attain this competency with only 3 months to study? That’s been the question that I’ve had in my mind for years, but I’m willing to get out of my comfort and finally get into the SSIS and SSAS world. Tabular is something that I’m familiar with thanks to Power Pivot and some courses that I’ve taken thanks to Marco & Alberto from SQLBI, but all my knowledge about Power Query is not something that I could leverage for this exam since Power Query simply doesn’t exist in SSIS….yet. Either way, I’d love to get your opinion. I’m scheduling myself to take this exam (767) on November of 2018 (which is a month full of holidays here in Panama) and I only started studying a few weeks ago. Will I be able to make it? Would I need to take that exam like 3 to 4 times to make it happen? What do you think? Cathrine Wilhelmsen has an amazing post about how she prepared for this exam. From reading the article, she had experience with SSIS which is something that I lack completely, so I started asking more folks for suggestions. In the end, 12 people sent me their suggestions and even one of them sent me to a page for “Answer Dumps”. Sadly, if you really want to earn the certification you can’t rely on untrustworthy information, so my best advice is to stay away from sites that try to sell you “Exam Dumps”. It’s just not worth it. Instead, go ahead and create your own learning roadmap and set aside your own schedule purely dedicated for learning. I’m finishing the book by Ralph Kimball & Margy Ross (The Data Warehouse Toolkit) and my next step would be to watch the On Demand Video Training. Once that’s done, I’ll go over the Exam Ref book and finally test my skills with the Practice test for Exam 70-767. Will I make it? Do you have any suggestions? Leave them in the comments below and wish me luck!